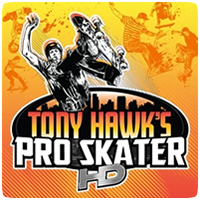 Posts tagged "Tony Hawk’s Pro Skater HD"
Tony Hawk’s Pro Skater HD has finally been announced for PS3, along with a release date. Robomodo and Activision have revealed that the game will be released on the PlayStation Network at the end of this month in North America. In addition, details about DLC for the game have also been revealed.